At Heritage Monuments of Michigan, we commemorate lives well-lived. We are passionate about designing high-quality, custom memorials both to honor loved ones passed and to facilitate continued healing for our friends and community. Our team has over 20 years of combined experience in memorial services. Enjoy the peace of mind that comes with knowing you and your family are in good hands with our team of specialists. Tyler McGeehan has worked in funeral services since 2009 and has been helping families as a licensed funeral director and manager since 2015. He has years of experience in helping people select and design the perfect monuments for their loved ones. Jeremy McAllister has worked as a cemetery sexton for 15 years and has years of experience creating, installing, and maintaining monuments. Our commitment to quality is not only backed by our passion, but some pretty high-tech equipment. 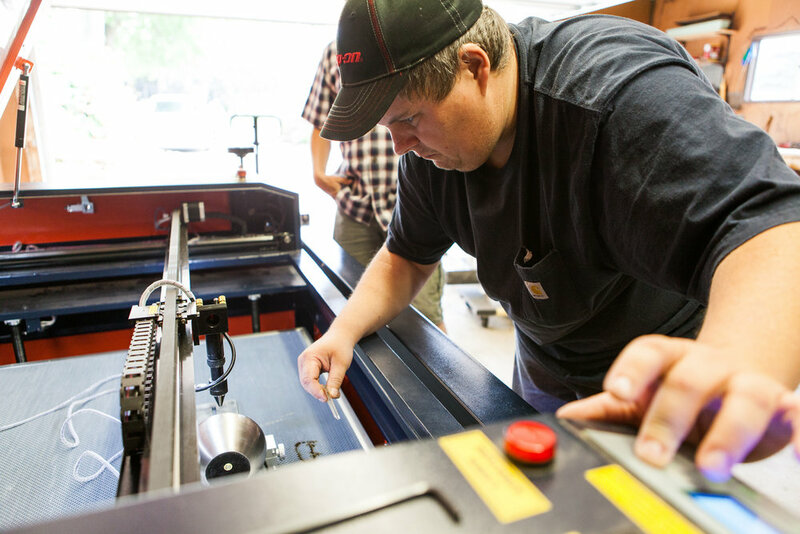 From the online design tools you can utilize right from our website, to the laser engraving machine and sandblasting equipment in our production facility in Chesaning, Michigan, our team is equipped to make your memorial ideas a reality.